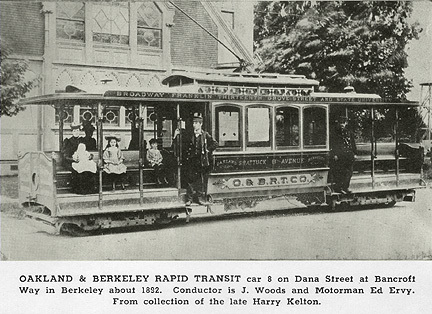 In 1891, Berkeley ran its first electric streetcar down Grove Street (now Martin Luther King Jr. Way). By 1912, you were never more than three blocks from a trolley line. 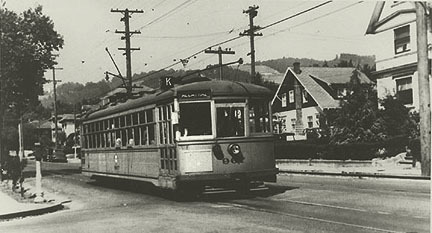 In 1958, Berkeley’s last trolley ran its final run. When did we have such a brilliant public transportation system? The Key System — a complex system of trains and electric streetcars that ran throughout the East Bay — had routes along Berkeley’s most iconic streets in the early 19th century. Initial lines ran along Martin Luther King Jr. Way and Shattuck Avenue, and in 1892 it expanded to run along Telegraph Avenue, College Avenue, Durant Avenue and even Bancroft Way. Unlike the unpredictable 51B, the trolley system was incredibly regular and punctual, mainly because the cars had the right of way and control of traffic lights, according to a student-made documentary on Berkeley’s trolley system. So if it was so comprehensive, worked so well and so beloved, why don’t the streetcars exist today? The public transportation was just too efficient for some. According to the documentary, General Motors, in partnership with Standard Oil and Firestone Tires, traveled round the Bay Area in the 1930s, bought the trolleys and destroyed them in order to create a market for their products. Awaiting destruction – Pacific Electric cars are piled up at junkyard on Terminal Island, awaiting dismantling to become scrap metal. A monopolization of the public transportation emerged, fare prices increased, and the streetcars ran less often. As a result, Transbay ridership fell from 22.2 million people in 1946 to 9.8 million in 1952. East Bay city councils tried to buy their trolleys back, but were unsuccessful. What happened to the old streetcar tracks? You know those grass mounds dividing traffic on Piedmont and Shattuck? Yep, they are covering up old tracks! The mounds hide the last physical evidence of Berkeley’s public transportation system that’s been lost. Imagine if we still got to ride around Berkeley in trolleys today! We want them back. Image Source: featured photo, photo 1, photo 2, photo 3.